An anti-aging solution for clients who desire to look 5-10 years younger. These peptide serums are the only professional treatment available today targeting specific skin issues to reverse the signs of aging. Each serum provides a powerful unique peptide message specific to the Client or Patients individual skin needs. Applied during a professionals treatment efficacy is commonly 2x. I just wanted to tell you that this Victoria de Ann product are so wonderful!!! I been using it for few days and already see so difference!! So younger!! I even got checked for I'D other day!! And I'm 33!!! Never happened before!! My mother swears by this product, so I thought I would give it a try. I am used to more viscous or creamier serums, so this is new to me. It is not sticky and absorbs quickly. Time will tell. 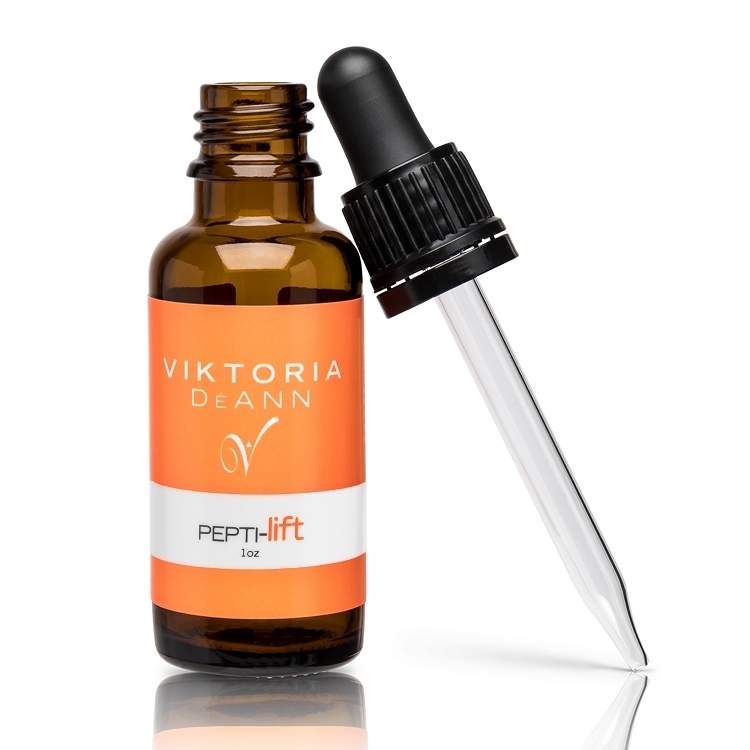 I love this product and the Viktoria DeAnn Pepi Tone along with it does wonders.